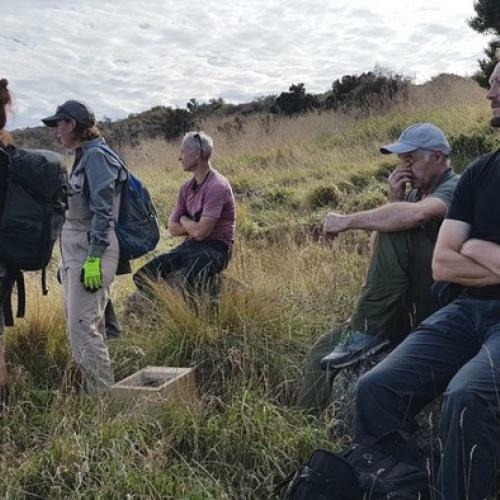 Find out how these these Kiwis connect with nature to boost their wellbeing during Mental Health Awareness Week. Ministry of Justice in Gisborne has won the Mental Health Awareness Week (MHAW) Workplace Challenge in 2018. It was the first time Ministry of Justice in Gisborne had celebrated MHAW, Court Registry Officer Julie Hollamby says. Together, the team at the Ministry of Justice realised the importance of looking after their mental health, and this was the highlight of the challenge for them. "Mental health is as important as physical health – they run side-by-side. This week gave us time to pause and reflect on things that truly matter, such as nature and how to embrace it in our work environment,” Julie says. Another highlight for the team was how taking part in the workplace challenge helped them to continue their te reo Māori journey as a workplace. Julie says her team is lucky to have their manager, Kaurauria Ruru, support staff through to learn te reo Māori. Ministry of Justice Gisborne have won a $200 morning tea for up to 30 people with by submitting a stunning PowerPoint they created of their MHAW activities. During MHAW, the team held different activities that encompassed the Five Ways to Wellbeing, the Maramataka and/or Māori ancestral knowledge. Monday (Connect): Took breaks together to talk and listen to each other and build on collegial relationships. Tuesday (Keep Learning): Learnt to write their pepeha and learnt the significance of Te Tauihu, a prow sculpture located in Gisborne, from the carver himself. Wednesday (Take Notice): Replanted neglected pot plants. Thursday (Be Active): They have a 'Get Fit' programme held every second night and alternating lunch times. Friday (Give): They regularly supply free breakfast for children at low decile schools who often attend without breakfast. Staff shared they saw MHAW as an opportunity to discuss mental health more frankly and openly in the workplace, and Julie knows these new attitudes will stay with the team and be regularly incorporated into their work days. To mark World Mental Health Day on Wednesday 10 October, Healthy Families have organised a rare event which will give people insight into an ancient Māori practice used to wash away raru and bring in new life force energy and wellbeing. The practice integrates the Maramataka, or Māori lunar calendar, with the ocean’s tidal flows, explains Mason Ngawhika, Kaiārahi Māori for Healthy Families Manukau. “Our tūpuna/ancestors developed the Maramataka based on their close relationship and understanding of our natural environment. It connects the whenua/land, rangi/sky and moana/sea and tells us what days are best for planting, fishing and harvesting. It also tells us what days are considered high energy, or low energy and how to best spend our time,” Mason says. 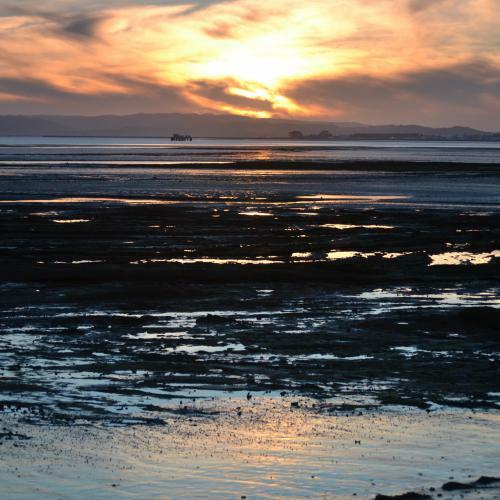 To help people revitalise, Healthy Families are inviting people to join them in casting their worries into the Manukau Harbour. “When the tide reaches its peak at 12.15pm, there will be a short period of tai matatū/slack tide, followed by a gradual momentum shift as the harbour waters begin to ebb. Once the tide increases in speed and momentum, this is a perfect time to practise what we call pure, or to recite cleansing karakia where our raru, or issues and stresses may be cast out on the outgoing tide,” explains Mason. As part of this cleansing practice, people will have the opportunity to experience the shift in energies as the tide comes in. The event will include a kōrero/talk on the Maramataka and how it can be used to enhance wellbeing. This will be led by the learned Matua Rereata Makiha. Following the kōrero, people will be encouraged to replicate the process of the pure in their own way. The event will end with kai. Outside the Civic Square in the Manukau CBD stand 12 carefully carved pou, which tell the stories of the stars, seasons and moon phases, creating a unique Maramataka/Māori lunar calendar compass. The Maramataka, which means the turning of the moon, guides us on how to interact with the natural world for optimal health, wellbeing and healing. It uses tohu/signs which indicate the best days for planting, fishing and harvesting and tell us what days are considered high energy, or low energy and how to best spend our time. It tells us when we should rest and recharge and when it is time to move our tinana/body or re-energise ourselves by trying something new. The mobile Maramataka compass was created as part of the Te Mata o Rehua carving symposium to celebrate Matariki and help lift Māori wellbeing in the Manukau region. 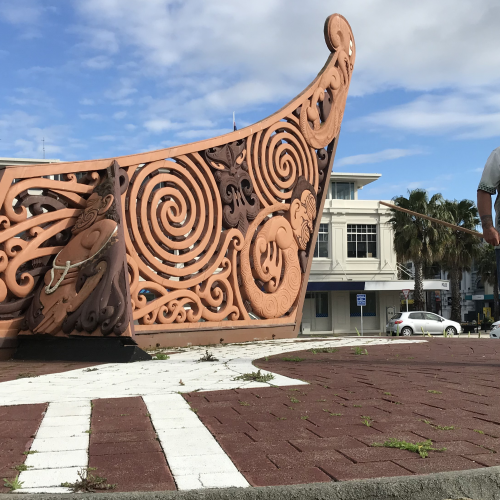 Mason Ngawhika, Kaiārahi Māori for Healthy Families Manukau, says the carvings weigh about a tonne, and were created by a group led by Darryl Thompson (Ngāti Kahungunu) and Filipe Tohi (Tonga). The carvers included five people who were once rough sleepers in the Manukau area. The group also included mana whenua carvers led by master carver Ted Ngataki. 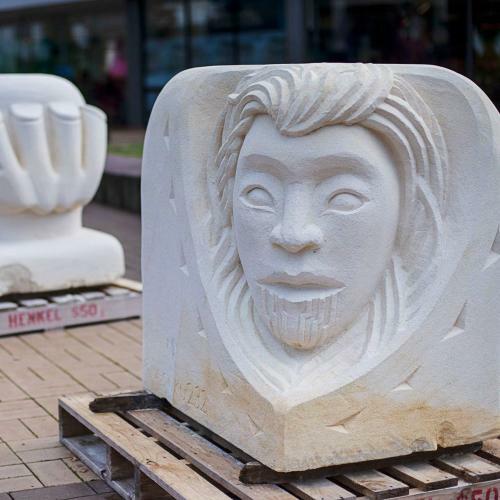 “The carvings are a physical interpretation of the Maramataka which is becoming more widely used as Māori reconnect with the ancient practices used by our tūpuna/ancestors, and the knowledge becomes more profound,” says Mason. “The Maramataka is centred around our relationship and understanding of the environment and the interconnectedness of the whenua/land, rangi/sky and moana/sea. When our connection to nature is strong we know our wellbeing - physical, spiritual and mental, can thrive." The carvings are just one of the many ways Healthy Families South Auckland, Panuku Placemaking South, The Southern Initiative and other Māori organisations are working to support the wellbeing of the South Auckland community. The portable pou will go on to be used for multiple purposes, including as a teaching resource for the community, connecting with and discussing traditional Māori systems in accordance with the Maramataka. “It’s our hope that we will continue to build an eco-system of Maramataka practitioners who can teach others the importance of tuning in to the ebb and flow of nature, to boost wellbeing," says Mason. Department of Corrections is going the extra mile to look after its people with a two-week Mental Health Awareness Week challenge. An internal programme, ‘Your Mental Health Matters’, will launch during week one in the lead-up to the official Mental Health Awareness Week (MHAW) held on 8–14 October. Department of Corrections principal health and wellbeing advisor Sarah Harmer says week one aims to build awareness, whereas week two is where the behaviour change element comes in. - How do you achieve positive mental health? - How do you talk to someone about mental health? - How do you bounce back from a setback? - What else is the Department of Corrections is doing for staff wellbeing? “It’s really about starting the conversation – it’s not rocket science. We want staff to feel that we’re a source of help and that we’re willing to help or point them in the right direction,” Sarah says. After MHAW, Department of Corrections plan on launching its “micro-learnings” programme, which is based on resources developed by the Mental Health Foundation. Sarah says the micro-learnings is based on Māori health model Te Whare Tapa Whā, Open Minds and the Five Ways to Wellbeing. It discusses the signs and symptoms of mental illness, how to talk with colleagues about mental illness and sources of help. It equips leaders with tools and methods to help them create a positive safety culture in their teams and across the organisation. Other wellbeing initiatives will slowly be launched later in the year, including how to manage your own mental health in the workplace, which addresses the specific challenges of working in a prison environment and a term called “corrections fatigue”. “Corrections fatigue is the result of dealing with high-risk people, shift-work, aggression and violence and how they can have an impact on our wellbeing,” Sarah says. Prioritising routine, relaxation, positive relationships outside work and balancing work with life are suggested strategies. During MHAW week, Department of Corrections is joining in on the Wellbeing Photo Challenge and staff are encouraged to get out into nature. View our workplace resources, merchandise and the MHAW Workplace Challenge, here. An Auckland College has held their student-led Mental Health Awareness Week (MHAW) a month early before exam stress kicks in. 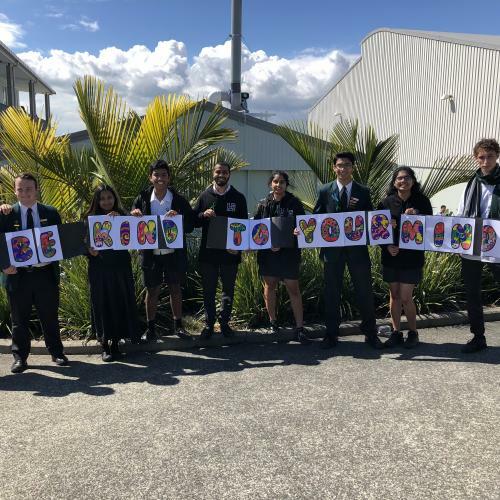 Lynfield College in Mount Roskill held their MHAW on Tuesday 11 September. Watch Lynfield College talk about how they Let Nature In! The celebrations were organised by Peer Sexuality Support Programme (PSSP) students, who decided to run it for a day rather than a whole week. Catherine Barker, English and media studies teacher and PSSP coordinator, helped the students organise the event. “The students came up with everything – how the day would be run and how to engage students. Many of them are in other committees such as the Safe Schools Committee, SKITTLES (LGBTQIA+ group), and some are part of Student Executive. It’s a great mix. She calls this period “peak stress time” and wanted to create awareness of mental health to encourage students to take care of theirs if they’re not feeling 100%. Activities held during lunch time included mindfulness, colouring-in and receiving gift bags. Inside the gift bags were Five Ways to Wellbeing cards, MHAW stickers, pencils with positive affirmations, herbal tea, and a local Warehouse donated note pads. “The students had such a good time. Some simply thanked us for promoting mental health as they find it really important. We’re currently recruiting for the 2019 PSSP group and that afternoon we had many students emailing to express their interest. It was pretty awesome,” Catherine says. She says creating awareness of student wellbeing is a priority at Lynfield College. “Student wellbeing is a huge focus; not just for the PSSP team, but for the whole school. We’re very aware of the mental illness statistics and we want students to know the school is there for them." A young aspiring photographer couldn’t believe her luck when she received last year’s Mental Health Awareness Week (MHAW) Photo Challenge grand prize, a Nikon camera worth $1,299. But 15-year-old Huia didn’t win the camera herself. It was gifted to her by her father’s cousin, Lara MacGregor. Lara took out the grand prize in 2017 with a photo she took of her partner leaning against a tree in Otago Peninsula. Her photo was one of 15,000 entries to the challenge. “We were walking in the hills above the New Zealand Marine Studies Centre in Portobello. It is an exceptionally beautiful part of our country that is home to a variety of wildlife, including penguins, seals and albatross,” Lara says. The 49-year-old says it was a childhood memory that sparked her desire to take the photo. Lara loved how the photo challenge helped her share moments with strangers and see New Zealand through different eyes. “Walking about with my camera in nature observing light, shade, movement and composition is one of the most joyous solo pursuits ever. Adding an additional sense of purpose with the daily photo challenges was pure fun. When the Mental Health Foundation contacted Lara to let her know she had won the grand prize, we weren’t expecting her to say she would give it to a “very special young woman” who is passionate about New Zealand’s birdlife. Huia, a Ngā Manu Nature Reserve volunteer in Wellington, was shocked to be given the camera. “I couldn't believe it at first – then it sank in and I felt like the luckiest person alive!” Huia says. She thanks Lara for getting her into photography to begin with. 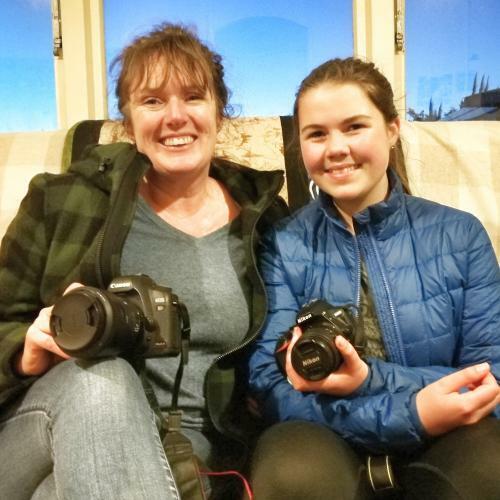 Huia has been using her new camera at nature retreats, to document a family holiday in the South Island and to photograph a recent trip to Mount Taranaki. Both Huia and Lara plan to take part in the MHAW 2018 Wellbeing Photo Challenge (8–12 October). If you would like to get involved, register to stay updated on all the details. Nikon ambassador Simon Williams uses three tools to stay mentally healthy: his camera, the outdoors and the Five Ways to Wellbeing. The 44-year-old British photographer now lives in Queenstown. One of his photos features in a newly released book by Nikon, I Am New Zealand: Aotearoa Through Many Eyes. Proceeds from the book will be donated to the Mental Health Foundation. Simon also entered this photo into the Mental Health Awareness Week (MHAW) 2016 Photo Challenge. He’s proud of its back-story. “It was taken during a time where it was really hard for me to leave the house. 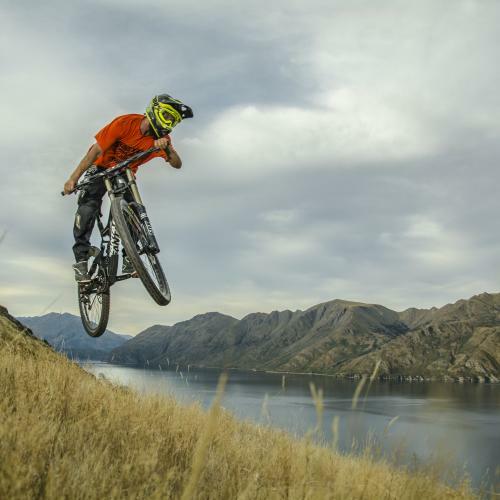 I took myself on a day mission to Ironside Hill in Wanaka,” Simon says. Simon has lived with depression for most of his life. He regularly uses the Five Ways to Wellbeing to internally check-in with how he’s doing. “I dealt with a lot of depression in my mid-to-late twenties. That’s why I came to New Zealand – I was looking for something to help me get well,” Simon says. The Five Ways to Wellbeing (Give, Connect, Take Notice, Keep Learning and Be Active) are simple actions we can all use in nature to help boost our wellbeing. They are weaved throughout MHAW this year, along with the Maramataka/Māori lunar calendar and phases of the moon. For Simon, photography is his way of staying mentally healthy. He says a camera has been in his life for most of it. “If there’s ever a day where I’m not feeling so flash, I just pick up the camera and immediately start to feel better. Photography constantly helps him to Keep Learning and Connect, two of the Five Ways to Wellbeing. Simon is joining our Wellbeing Photo Challenge (8–12 October) again this MHAW. Register your name to get involved and feel the wonder of being in nature! ‘He waka eke noa – we’re in this together’ is the motto adopted by a group of Wellington head students for their unique Mental Health Awareness Week (MHAW). Ngā Māngai Rangatahi o Te Awakairangi, a collective of head students based in Lower Hutt, didn’t let MHAW falling in the October school holidays stop them from getting involved. They held an interschool MHAW on 20–24 August. Hutt Valley High School head student Safari Hynes says students from 7–8 schools joined forces to plan the special week. “The power of unified rangatahi was realised when our group met in April,” Safari says. The group made sure all five days of their week aligned with the Five Ways to Wellbeing – five simple actions people can use every day to help find balance, build resilience and boost wellbeing. Connect: A March for Mental Health and mufti-day. Their week ended with ‘March for Mental Health’, a 8.7km student-led hikoi. Starting at Taita Rock, the walk continued down the Hutt River Trail and ended at Hutt Valley High School. It was open to all local schools and the wider community. “All 150 people who attended wore purple in support of the Mental Health Foundation and MHAW,” Safari says. Ngā Māngai Rangatahi o TeAwakairangi encourages schools to Let nature in, strengthen your wellbeing – Mā te taiao kia whakapakari tōu oranga this MHAW by participating during a week that works for them. Staff at the Department of Conservation (DOC) are reaping the benefits of a workplace policy to ensure they have opportunities to enjoy nature, and they’re encouraging other workplaces to Let nature in this Mental Health Awareness Week (MHAW). DOC Permission Advisor Amanda Edmonds wishes she could capture each moment a glowing colleague returns to the office from the outdoors. She saw first-hand the connection between nature and productivity, and the positive outcomes it can have on workplaces and their people during MHAW 2017. 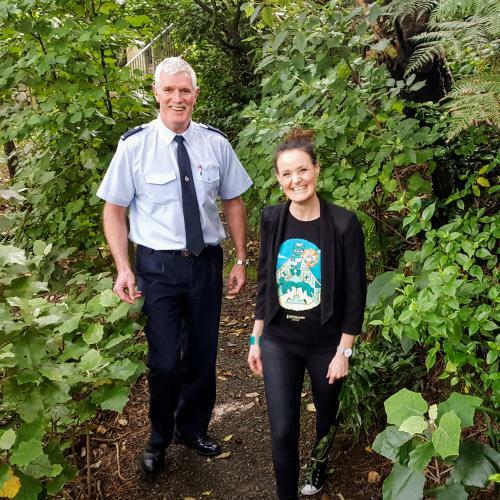 Last MHAW was an opportunity for Amanda to take a lead in changing her workplace culture, after realising her team of about 20 Christchurch colleagues weren’t focusing on one of the key strands of DOC’s Safety and Wellbeing Strategy – ‘opportunities to enjoy nature’. To kickstart this culture change, she ran a two-hour workshop asking her people how they were engaging with nature at work, what they could do more of and what the barriers were to enjoying nature at work. A team wellbeing strategy was developed with practices to support engagement in nature. Today the strategy is reviewed and discussed at each fortnightly team catch-up. The workshop also led to trialling out beanbags near windows, so people can read in natural sunlight, assisting the operations teams with outdoor work and having walking meetings. “Why have your monthly operating review in a stuffy room when you can walk across to the park?” Amanda says. The team also trialled staff working bees as part of the new wellbeing strategy – DOC Christchurch statutory land management advisor Craig Jones attended a working bee at Tiromoana Reserve to help clear invasive hawthorn. "I returned to the office rejuvenated, having had a productive day clearing vegetation but also connecting in with people I might not often get the chance to, while also enjoying nature. “It’s refreshing to see your co-workers in a new light and to share those memorable experiences,” Craig says. DOC manager of permissions and statutory land management John Blue had reservations about the new team wellbeing strategy at first, but now sees the value in letting nature in. "I look forward to DOC placing more focus on staff wellbeing – through the rollout of Five Ways to Wellbeing and other initiatives,” John says. Amanda encourages New Zealand workplaces to get involved in MHAW 2018. This year, MHAW will be held on 8–14 October. Like DOC, show your people you care about their mental health and wellbeing and Let nature into your workplace - tukua te uho taiao ki roto nā papa mahi! Connection with the land is intrinsic to the relationship Māori have with themselves – it transmutes to their culture, spirit, and wellbeing. Strengthening the bond between Māori and their tribal land is one of the roles of DOC worker Rob “Pa” McGowan, an ecologist working on the preservation of covenanted land all over New Zealand. Rob, who is Pākehā, also teaches courses in rongoā – traditional Māori medicine. “It’s not just about beautifying the land, it’s also about beautifying the people. We want to celebrate our belonging to the landscape,” says Rob, a former priest. Māori culture grew out of the people’s first encounter with land, and if they lose that connection they will lose their culture and identity, he says. Showing people rongoā is helping them get back to nature, a connection that grows their spiritual and physical health. A session with Rob in nature, which often begins with a karakia, can be a turning point for people. The practice of being in the moment – or mindfulness – has been shown to increase calmness, reduce stress and improve focus and attention. It’s one of the ways the Mental Health Foundation promotes to help people stay well. Ancestral memories are often awakened for many during these experiences, he says. From bootcamp and yoga classes, to nature walks, community clean-ups and marae stays, there’s a strong focus on holistic wellbeing for kaimahi (staff) at Ngāi Tahu. 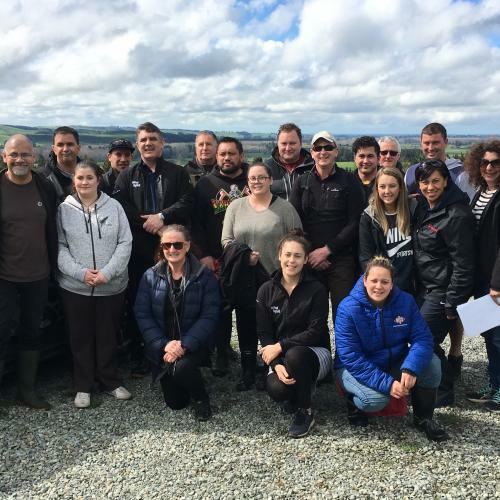 A cohort of kaimahi from Ngāi Tahu just completed a noho marae event at Arowhenua in Te Umukaha (Temuka), where they learnt about the medicinal and wellbeing properties of native plants. “It was wonderful to reconnect to Mother Earth and discover natural resources in their raw state like water cress, herbs and Rongoā Māori,” Anthony Tipene-Matua, iwi communications advisor, says. “The holistic value of oils, rocks and our own Māori affirmations are very powerful and moving,” Mr Tipene-Matua says. He feels the marae visit gave staff a natural boost. Kiri Williams, an administrator from Hauora, says she looks forward to spending time in nature. “I love the fresh air, natural colours and beauty in our surroundings, and the sound of birds – it 100% shifts your mood! If you can kick your shoes off and go barefoot that’s even better,” she says. Ms Williams says this helps her work productivity and her connection to colleagues improves. Employees say they pick up tools and strategies through the wellbeing programmes that they take back to the office and into their communities. “If you can be aware of your wellbeing and know what works for you, you will be a more productive person at work, at home, with your friends and for your community. This has to be good for everyone,” Dave Wilkins, environmental advisor says. Ngāi Tahu also runs bootcamp and yoga classes which are so popular with staff they’re often booked out. “When I have completed a bootcamp session my brain feels completely refreshed, I can attack my tasks like I would first thing in the morning, and it stimulates new ideas,” Adrian Patchett, GIS analyst says. Mr Patchett says the classes are an opportunity to connect with colleagues. But if employees aren’t into physical activity, Ngāi Tahu has made sure there are other options. “We cover a broad spectrum of mana-enhancing activities to suit our diverse workforce – there’s a little something for everyone,” Wayne Vargis, senior strategy advisor says. Mr Vargis says the benefits of workplace wellbeing programmes are really clear. “I return to work with a renewed sense of both purpose and enthusiasm. Most importantly, it allows me to take a step back from the complexity at hand and take a more strategic outlook on things,” Mr Vargis says. The management team says investing in workplace wellbeing is invaluable. “A safe and well workplace culture enables a strong position for us to achieve our core mission and progress outcomes for whānau,” Katie McEwan, group head people & culture says. Ms McEwan says it’s important for Ngāi Tahu to walk the talk when it comes to caring for its people. Ngāi Tahu has a message for all employers across New Zealand. Māori communities are collecting mauri (life force) within kōhatu or stone from their turangawaewae (place of standing) enabling them to bring nature indoors this Mental Health Awareness Week. This year’s theme encourages people to connect to nature for their mental wellbeing. In workplaces, people can’t always access the green and blue spaces around them as much as they would like, but a slice of nature can be brought indoors. “Bringing a kōhatu or stone is bringing life force or energy into a workplace,” says Mental Health Foundation Māori development manager Ellen Norman. Ellen has gathered kōhatu from Maungapiko and sand, shells and rocks from Te Oneroa o Tohe 90 Mile Beach, that sit on her desk at work. She says the kōhatu are physical reminders that help her when she feels disconnected from her maunga. After 15 days and more than 15,000 stunning photos shared for Mental Health Awareness Week (MHAW), the Mental Health Foundation (MHF) has announced the winner of its Photo-a-day Challenge. Lara Macgregor took the photo of her partner Phil while they were on a walk in the hills on the Otago Peninsula. She says a childhood memory sparked her desire to take the photo. “Up that high in the hills, the trees are quite exposed to the elements and the wind can mould them into shapes not too dissimilar to trees from a Dr Seuss story. “Phil just happened rest for a few moments in the bend of this tree trunk. It was a perfect offering from mother nature,” she says. Lara says the MHAW photo challenge was a joy to be a part of. “Sharing moments with strangers, seeing our country through different eyes and the reminder we're all in this journey together. Mostly, the joy that comes with shared experience,” she says. Lara’s photo was the Nikon ambassador’s wild card pick. Esther Bunning chose the six finalists, which were then voted on by the public. “It was a tough choice. I loved the diversity and varied approach to the theme – it was wonderful to see,” Esther says. Twelve hundred people cast their votes and Lara’s photo came out on top with 200 more votes. She won a $1,299 Nikon New Zealand camera, which she plans to giveaway. “To win the Nikon camera is too good to be true! I plan to give it to a very special young woman who is exceptionally passionate about New Zealand's birdlife,” she says. The young woman is a volunteer guide at Zealandia, and spends time trapping and monitoring weta in a bid to increase their numbers. “We were chatting a few weeks ago, sharing photography tips, and she mentioned she wanted to eventually get a better camera to take better images of the birds. I couldn't think of a better home for it to go to,” Lara says. MHF communications and marketing manager Sophia Graham says she was thrilled by the thought put into each entry. “It was a real privilege to get a glimpse of New Zealand through the eyes of thousands of Kiwis,” she says. “We looked at every single entry and it was so nice to see what different people treasured, how they connected with nature and the places and spaces that were meaningful to them. The MHF runs the challenge to gently encourage participants to look at the nature around them with fresh eyes, and Sophia says feedback has been overwhelmingly positive. “More than 90% of the people we surveyed reported they spent more time in nature as a result of the challenge,” she says. New Zealand’s largest life insurer Sovereign got behind Mental Health Awareness Week (MHAW) by organising daily activities to boost wellbeing. Sovereign’s 700 staff on Auckland’s North Shore could take their pick from a mindfulness talk, free chiropractor assessments, pilates, yoga, backyard cricket and an outdoor treasure hunt. “The yoga gave me time to turn the brain off and just be in the moment. I came back to my desk refreshed,” Risk Specialist Victoria Jensen says. Ms Jensen says MHAW was a reminder about the importance of taking regular breaks to look after mind and body. “It made me aware that we aren’t robots and we do have up and down days,” she says. On World Mental Health Day (Tuesday, 10 October) and as part of the nationwide Lockout, staff were armed with yoga mats and headed outside. “I spent the hour resetting my mind and breathing in some fresh air,” Internal Communications Manager Rosalyn Lambert says. “By getting outside and away from my desk, I was able to focus my mind on something entirely different. “I have to say my mind didn’t wander back to my computer at all, and I was more productive when I did get back into the office,” Ms Lambert says. Sovereign’s Corporate Social Responsibility Manager Rebecca Emery says it’s a no-brainer for businesses to take part in MHAW. “Encouraging staff to be healthy improves their morale and increases collaboration between teams. “Offering flexible working arrangements and promoting work/life balance from the executive leadership down is one of the many things that sets Sovereign apart as an employer,” Ms Emery says. She says MHAW encourages management and staff to focus on wellbeing, which is something many people don’t do enough. 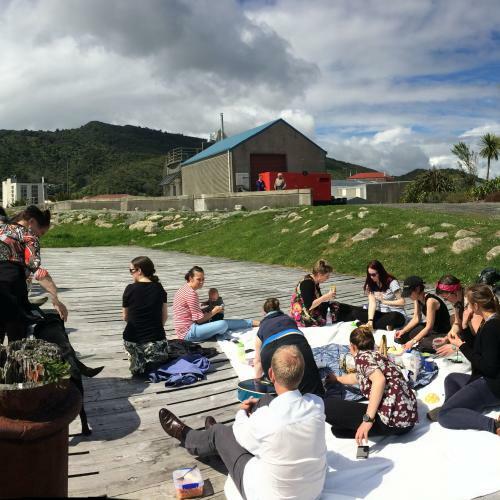 “We baked cheese scones, our office favourite, and organised a picnic on the river front, we took a guitar and sang waiata and enjoyed laying in the sun on the gorgeous Māwheranui (Greymouth River),” says Freedom Preston, team leader of Community & Public Health West Coast. Ms Preston says the Lockout was an opportunity to take a break, but also to remind staff to walk the talk, when it comes to health promotion messages. Ms Preston says they ran a quiz about the Greymouth River and drew sketches to share with their colleagues, who couldn’t join them for the Lockout. Nutrition Health Promoter Jade Winter says staff connected with each other and enjoyed the sunshine. “I noticed sculptures that I haven’t noticed before, I felt more energetic and connected with the environment and the people around me and I had a full belly of scones!” Ms Winter says. Health Promoter Rosie McGrath says she noticed positive changes after the time spent in nature. “I learned some things about my place which I didn’t know, and being together and laughing made me feel lighter and less stressed,” Ms McGrath says. “The scones are essentially three ingredients; buttermilk, flour (gluten free to be inclusive) and tasty cheese (plus a pinch of salt and cayenne pepper)! 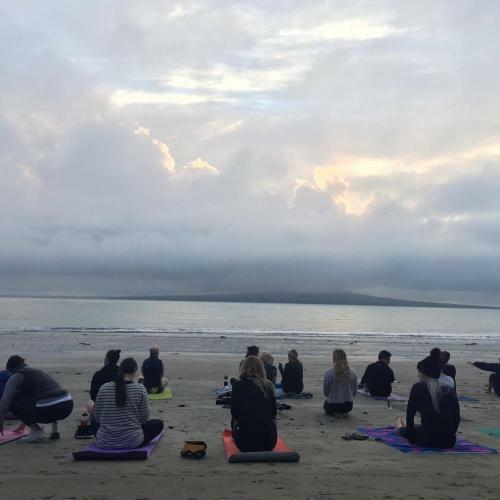 At sunrise and with the rain threatening, yogi’s gathered on Auckland’s Takapuna Beach (pictured above) to mark the start of Mental Health Awareness Week (MHAW). The beach yoga was one of five Lululemon classes held around New Zealand on Monday, 9 October (the first day of MHAW). There was sand, but no rain and the sun even came out as everyone moved in to their downward dog position. The class was focused on connecting to the breath as a way to carry peoples’ minds to stillness. The instructor drew people’s attention to the feeling of the sand beneath their feet, the sound of the waves, and the ocean breeze. Supreme Coffee provided a delicious post yoga brew. Just a few hours later, at lunchtime, people swapped their suits for stretchy pants as another group of yogi’s gathered at Auckland’s Britomart. 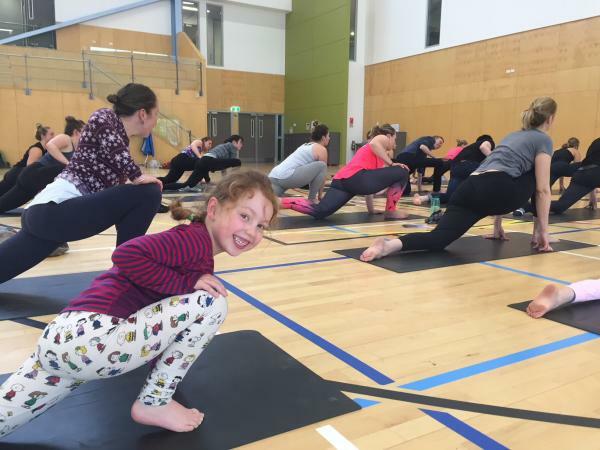 Yoga instructor Amelia McCombie says yoga has helped to change her life. “The more that I dive into this work, the sense of connection and love I feel for myself, my body and my life, becomes deeper. “I now know that when life gets tough and my mind slips back into old stories, I have the tools to quieten my mind, bring myself back to the present moment and to reconnect to a place of love and acceptance,” Ms McCombie says. In Christchurch (pictured above), nature wasn’t the ultimate key to getting people to their outdoor yoga class. Rain meant that the class was moved inside. Despite the change in venue, the meaning and purpose behind the class remained the same. "Yoga saved my life and that is why I teach. I wasn't living in my body before, I spent too long living in my head, with negative and unhealthy thoughts,” says Lululemon Christchurch ambassador, Kotte Aguilar. Practicing yoga has created space for me to find awareness in my habits and that is why I have been able improve. Yoga allows me to be a better person to myself so I can be better to others." Lululemon also held classes in Wellington and Queenstown. It’s the Vitamin D from the sun hitting his skin, the endorphins and the general good feeling that makes him do it. Even on the busy days. 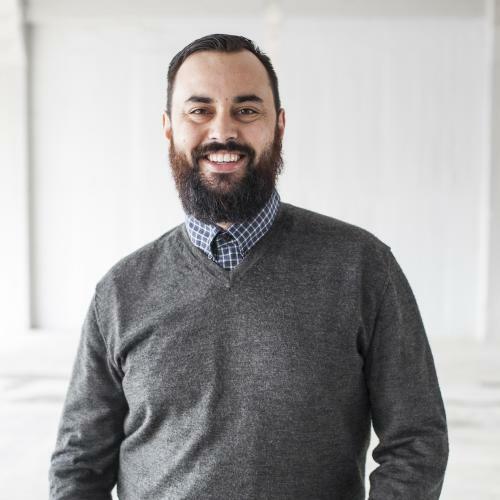 Nick is the co-founder of BizDojo, a co-working space provider located in Auckland, Wellington, Christchurch and Queenstown. “Getting outside and exercising gives me some time out from the stressful conversations or the problem-solving. In that time when I am outside, away from the desk and with my phone turned off, my brain can slow down and just soak in the Wellington waterfront or watch the dogs sunbathing outside the cafes,” he says. Nick lives with depression, and he hit breaking point last year and tried to end his life. “BizDojo was in the midst of growth mode. We were adding team members, setting up new locations and getting ready for the launch of new projects. He's since recovered and now lives really well. He’s formed better habits; prioritising healthy eating, mindfulness, sleeping better and exercising to cope with the challenges that he faces as the founder of a start-up company. After taking time out last year, Nick began to see more and more entrepreneurs who were also experiencing mental illness. He penned a LinkedIn post sharing his tough experience and asked people to fill in an anonymous survey. One hundred founders, entrepreneurs and business owners responded – 95% of whom said being an entrepreneur had affected their mental health, 71% experienced anxiety, 40% identified as being depressed and over 50% did not seek help even when facing mental health issues. The reasons respondents were struggling varied – 38% of people were affected by scaling their business, 14% by investor pressure, 26% by the need to sustain growth in their business and 32% by the process of capital raising. The added stress that comes with being a business founder clearly takes its toll. BizDojo has a free and frank culture when it comes to mental health. At management meetings, each manager does a stress check-in, using a scale from one to ten. BizDojo has wellness programmes throughout their five New Zealand locations, which include meditation, mindfulness sessions, social soccer, healthy food clubs, and massage sessions. They’ve also just created Founders Central, an initiative to support entrepreneurs so they’re able to work through the stress of a start-up and come out the other side with a successful business and a successful life. But Nick says they’re not perfect. BizDojo has been in the thick of growth mode and this has put a lot of pressure on their team. “The things we had put in place to support our team last year when there were 17 of us, were not working as well with 40 of us. Along with Sustainable Coastlines and Bikes and Bends, BizDojo are holding a Takapuna Beach Clean-up for Mental Health Awareness Week 2017. The aim is to boost everyone’s mood by getting them outdoors doing yoga and community work. And that’s why it’s taking part in the Mental Health Awareness Week Lockout on Tuesday, 10 October. From 12–1pm, Kiwis are being encouraged to head outside to discover how happiness and wellbeing bloom when you connect with the nature that surrounds you every day. “We hold our people as our greatest asset, so we are prepared to invest in their wellbeing,” NZR chief financial officer Nicki Nicol says. NZR runs wellbeing programmes and workshops, as well as health-focused challenges, sporting competitions and yoga. NZR provincial union support manager John Kirkup says there’s something different on offer every day to suit any sort of weather or mood. “Being a sporting organisation, getting up and away from your desk is encouraged. I try and do something every day, whether it’s an organised session like swiss ball or yoga, or a hit of squash or indoor netball with workmates, or even hitting the gym downstairs,” John says. John says when he takes a break from his desk and gets moving outside, he’s more focused and gets more done. Being organised is one of the secrets to sticking to a wellbeing plan. “That first step away from your desk needs to be as easy as possible so you don’t have excuses – that’s the key for me. Book it in your calendar, have your gear ready to go and think of it as a treat rather than a chore,” John says. Eighty percent of NZR’s 130 employees take part in at least one wellbeing activity throughout the year, with some activities happening weekly. And NZR has noticed positive changes among staff, who are more engaged and more energised. 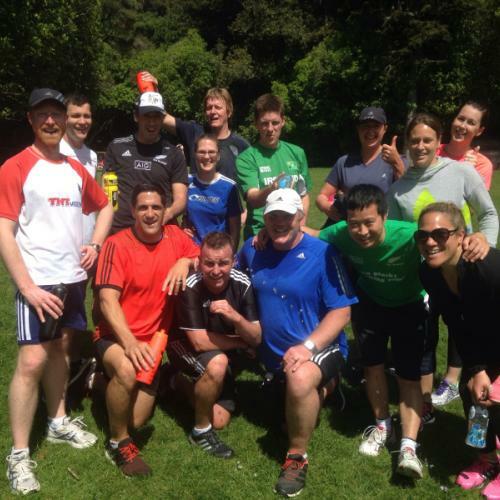 Twice a week, Melvin Worth, NZR commercial operations manager for NZ Sevens, uses his lunch break for a run, game of squash or mountain bike. “Being outside during work hours always reminds me of how important the work-life balance is. This puts me in a more positive frame of mind,” Melvin says. His concentration levels are better and it’s also a chance to socialise with colleagues. There’s also a walking group which braves Wellington’s weather regularly, as well as a running group and a bunch of people who attend group exercises together. If you're interested in taking part in the Lockout, please submit your event. Determined to lift her mood, Jenni started looking or other options and joined a gym. Gardening has always been viewed as nature’s therapy: Getting your hands dirty often seems to melt your worries away, leaving you feeling invigorated and satisfied. Social and therapeutic horticulture (STH) is a method used by occupational therapists and other health professionals to harness nature’s healing properties. Research shows that STH promotes social acceptance and wellbeing for people with mental health, social and physical problems. That’s why Whanganui District Health Board (WDHB) regional mental health unit, Stanford House, has introduced STH for its residents. They can often be found tending their fruit and vegetables in the unit’s garden. WDHB mental health support worker Richard Hemingway says most of the residents (many of whom will spend their lives at the facility), get involved in planting, weeding, pruning, harvesting and cooking the produce they’ve grown. In the secure part of the unit, a beautiful rose garden flourishes, bringing a bright spot of beauty to their environment. Richard says the idea of extending STH at Stanford House came to him about five years ago. Mulling over the future of the garden there, he thought STH could play an important role for the garden and the residents. With the support of all staff, he began using gardening as a therapy for residents. Happiness and wellbeing are just a couple of the benefits Richard sees in the residents he gardens with. Movement, exercise, planning and safety skills are additional benefits they gain, he says. A greenhouse is being built at Stanford House to help the residents increase the number and type of seedlings they plant. “We have three Pasifika clients who are trying to grow taro,” says Richard. “We’ll know hopefully in a couple of months if it’s been successful. “Growing enough fruit and vegetables to be self-sufficient is our goal, as is increasing patient wellbeing. It’s all part of the humanitarian and respect-driven culture of Stanford House. Rolling down a hill with glee – just because it’s there – is something you might expect from a small child. So when Estella Lee saw a fellow adult from China doing just that when she took them to Auckland’s Michael Joseph Savage Memorial, she laughed and laughed with delight. “Chinese people are in the mindset that their mood is very much related to their environment,” says the former travel guide. There’s mounting evidence that connecting with nature has a positive impact on a person’s mental health, according to Dr Mardie Townsend, honorary professor at the School of Health and Social Development, Deakin University. These days, Estella is the chair and operator of the Chinese Conservation Education Trust (CCET), a charity she co-founded with the Department of Conservation in 2002. The trust takes Chinese people living in the Auckland area out into nature to foster a love and understanding of New Zealand’s beautiful spaces, plants and animals. One of the reasons the trust was set up was to educate Chinese people immigrating to New Zealand that they couldn’t bring fresh produce or plant medicines into the country with them. That idea extended into nature tours to explain the effects of pollution on flora and fauna and air and water. Estella’s passion has been invaluable in her delivering the message of protecting the environment. Some trips have included taking people out to the bush to learn about the natural environment, and visiting beaches at low tide to look at marine animals, Estella says. The tours are very popular, with everyone attending wanting to come back again and again. Although the CCET is no longer funded by DOC, Estella is determined to keep it running on donations and grants because of the vast benefits she sees in Chinese people connecting to nature, and enhancing their wellbeing. Using a wheelchair hasn’t stopped Merle Bradley going snorkelling or getting out into the rugged West Coast bush. The 60-year-old nature-lover was diagnosed with motor neurone disease in 2014 but that hasn’t stopped her going into nature and doing what she loves. “I’m still doing something I love. 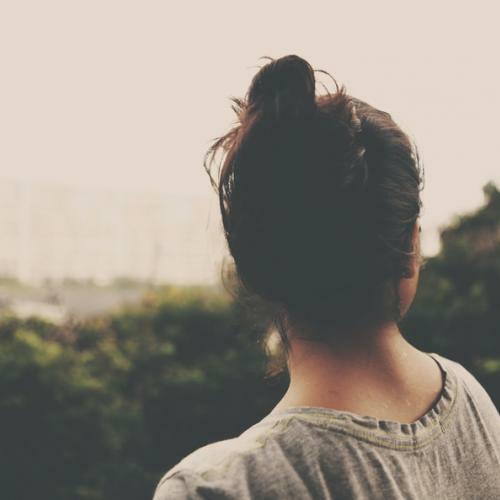 I thought my mental health would go downhill after my diagnosis, but it hasn’t because I can get out and about,” she says. People with chronic physical conditions generally do experience a higher prevalence of mental disorders compared with people without physical conditions. So Merle is thankful she can counter that with her outdoor activities. Central to her ability to get out in nature is her specially designed all-terrain wheelchair. The wheelchair, designed by Greytown engineer Peter Thompson, allows Merle to tackle just about any terrain, including the Abel Tasman Coast Track. Earlier this year, Merle traversed the track for two days as part of a trial by the Department of Conservation to make tracks more accessible for the disabled. She completed two days of the track, with help from family and friends, who used harnesses and ropes to assist her through the more difficult parts. Merle, who lives in Hokitika but is originally from South Africa, says it’s important when you are disabled not to be cooped up in a room or institution watching TV. After her diagnosis, Merle was told she had between two and 10 years to live. So the former primary school teacher and her husband embarked on a six-month holiday around the world. After she returned, she got her all-terrain wheelchair and has never looked back. 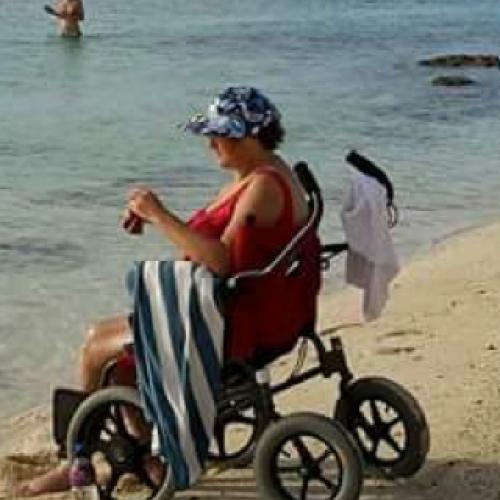 While on holiday in Rarotonga this year, Merle was able to get onto the beach thanks to her special wheelchair. She is keen to spread the word to other people with disabilities about the benefits of all-terrain wheelchairs to the disabled. The Motor Neurone Disease Association of NZ is hosting a Hokitika Walk to D'Feet MND in September. The silhouette of Mt Pureora rises majestically from Ngati Rereahu land in the central North Island. It overlooks the Pureora Forest Park, which straddles the Hauhungaroa and Rangitoto ranges between Lake Taupo and Te Kuiti. According to Maori legend, the mountain is in the centre of the fish Maui, which represents the North Island. On its slopes, the 78,000ha Pureora Forest Park, with its native bush and birdlife, is surrounded by exotic forests and farmland, including the 5,500ha Maraeroa C Incorporation pine forest. Mt Pureora is a sacred place to Ngati Rereahu, who have honoured the abundance of food and medicinal plants that have nourished its people and neighbouring tribes for centuries. “It was our food cupboard, our kapata kai,” Glen Katu says. Glen is Chief Executive of Pa Harakeke, an ecotourism and adventure company owned and operated by Maraeroa C Incorporation, a Ngati Rereahu land corporation. These days about 9,000 visitors – trampers, cyclists, bird watchers and eco-cultural enthusiasts from New Zealand and around the world – visit the park every year, with about 2000 of them coming through the Pa Harakeke visitor centre. Glen says they come because of the pristine bush, the bountiful bird life, the pure, clear air and to experience the rich Maori culture, heritage and hospitality. 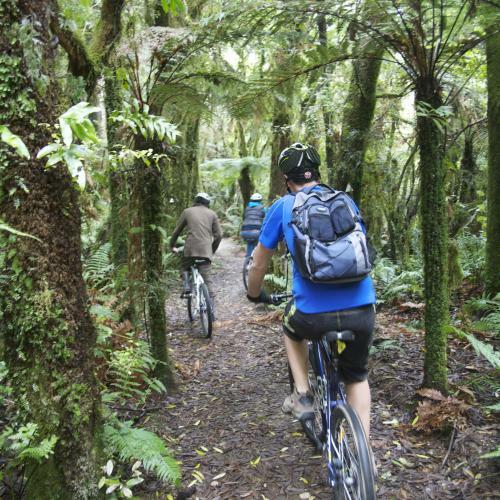 Mountain bikers and trampers of every age choose to ride or walk the Timber Trail, which winds its way through the Pureroa National Park. The 85km trail was built three years ago and is being talked about as one of the “bucket list rides” by many people. It’s a fun ride, Glen says, but aside from the physical challenges, there’s something about being in touch with nature that visitors love. A deep love and nurturing of the land is elemental within Maori culture, as taught by the ancestor Rereahu, and handed down to the current generation of Ngati Rereahu. “Rereahu was a peaceful person and had an immense knowledge about plants and animals, which fed and nurtured our people,” Glen says. Those who come to Pa Harakeke also have the opportunity to get involved in preserving the beauty of the natural environment by planting a tree. When people return, they can track the growth of the tree they planted by locating it via GPS, and then zooming in on it through Google Earth. Turning her face to the sun and feeling the wind in her hair and sand between her toes is the therapy Debra Wallace gives herself most days – and also the remedy she recommends to those she counsels as a marriage and family therapist. The beach and native bush on the beautiful island of Waiheke near Auckland is where she turns to process her emotions, reframe any negative thoughts, and also get the exercise her body needs. Nature is also where her family spends time together to play and take time out. Her love of nature as body and soul food began when Debra was 17, after her mother was diagnosed with severe depression. Looking after her mum was challenging and took its toll emotionally on Debra, who began to realise she herself was down a deep, black hole. After just a few counselling sessions, Debra quickly learned that actions speak louder than words and committed herself to making daily changes, such as running. Exercising outside lifted her mood and allowed her to take control of her life – outrunning the symptoms of depression. Being active is one of the Mental Health Foundation’s Five Ways to Wellbeing. Introducing any of the five ways into your life, has been shown to improve mental wellbeing. Knowing the value of self-care was essential in Debra’s training as a family therapist in her native America, and became critical after having a traumatic birth with her first child, miscarriages and stillbirth. The turning point in her recovery from post-natal depression and grief came when she again took refuge in nature and exercise. Mindfulness, the practice of being in the present moment, has also been shown to help decrease symptoms of anxiety and depression and increase wellbeing. Debra’s experience of recovering and thriving from her experiences with depression has been invaluable in working with her clients, which include couples and families in emotional crisis, as well as young people dealing with low self-esteem, family conflict or problems in school. You may find bees buzzing, butterflies fluttering, native seedlings thriving and veges growing in rural settings or your garden but these beautiful spaces are also popping up among hundreds of Enviroschools schools around the country. 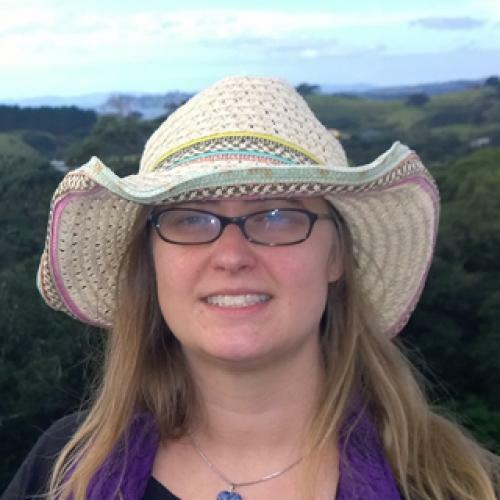 In this technology-filled age where kids can lose touch with nature, getting outside and involved in their surroundings is good for them on many levels, says Michelle Ducat, an Enviroschools facilitator in the Hutt Valley. Enviroschools include early childhood learning centres and primary schools through to high schools. There are close to 1000 New Zealand schools participating in the programme with about 250,000 people involved. “We talk about learning in the environment, learning about the environment and taking action for the environment,” Michelle says. Many studies show the positive links between direct experiences in nature and children’s mental, emotional and physical health and wellbeing, as reported by the Department of Conservation’s document Benefits of connecting children with nature. Kids getting out in nature can increase self-esteem and resilience against stress and adversity, as well as improve concentration, learning, creativity, cognitive development, cooperation, flexibility and self-awareness. It can also prevent childhood obesity. Of course, it really helps that once encouraged, most kids just love getting physical and being outdoors, whether it’s in their school environment or on field trips. Growing, preparing and cooking veges, native tree planting, building bird sanctuaries and waste reduction projects are some of the Enviroschool activities the kids get involved in. “Enviroschools are about supporting our tamariki to be sustainability leaders of the future and our schools and early childhood centres to be sustainable communities,” Michelle says. Creating beautiful spaces and connecting to the earth teaches kids about teamwork and how to learn from each other. “I recently worked with a school where the kids created a bee and butterfly garden. It’s such a delightful and beautiful place to be and they were so proud of what they’d added to the school. Thomas and Mahrukh Stazyk know very well how connecting with nature can benefit a person’s wellbeing – so much so they decided to do something creative with the idea. In 2003, the former accountants bought a 24ha farm in Araparera, an hour north of Auckland overlooking the Kaipara harbour. Over the years, the couple was becoming increasingly concerned about the decimation of the natural environment due to increasing property development and, in 2007, decided to restore the property back to native forest. “Auckland still has green spaces but with all the development, those spaces are disappearing. We don’t want Auckland to become like other big cities around the world,” says Mahrukh, who was born in India. They have enlisted the help of volunteers to transform the area. To date over 3,000 volunteers from school, community and corporate groups have planted more than 151,000 native trees and built almost 4km of walking tracks and boardwalks. “We are so grateful for all the people who have volunteered their time,” says Thomas, who comes from the US. The couple love seeing the joy planting trees and helping with the project brings to the volunteers, especially to those who haven’t spent much time in nature. “It gives them confidence and a sense of creating something that will be around for a while, something bigger than them. It’s relaxing, educational and they get a real sense of achievement,” Thomas says. The couple are in agreement that the benefits of being involved in CUE Haven align with the Mental Health Foundation’s Ways to Wellbeing – connect, give, take notice, keep learning and be active. CUE Haven also allows people to plant memorial trees for loved ones who have passed away. “It’s been so rewarding for us to see people gain a sense of closure after planting a tree. Nature has been very therapeutic for grieving people,” Mahrukh says. The couple plans to covenant the restored property with the QEII Open Spaces Trust and eventually gift it to the community to enjoy in perpetuity. Climbing trees, building huts, collecting tadpoles and running through the bush with friends is the stuff of childhoods from a bygone era. These days our kids are more likely to play indoors, or maybe in playgrounds under the watchful eye of protective parents. “Shutting our children away” has concerned childhood teacher Jan Beatson for many years. Nature Kindy – inspired from some Scandinavian preschools that are held almost entirely outside – was her solution to getting Kiwi kids back into nature to learn, grow, have fun and form healthy habits for a lifetime of wellbeing. Set up in 2010, Nature Kindy has spawned two more centres and five playgroups in Auckland. Jan says that the Te Whāriki curriculum is followed. “It’s wonderful to see their absolute exhilaration of running really fast down a hill, or the joy of standing up on top of a look-out. They get huge enjoyment out there,” Jan says. Research published by the Department of Conservation shows that if we connect with nature as children, we will turn to it later in life to find relief from stress. “If you’ve connected with the mall or TV or food, then you’ll turn to those things when you feel down. But if outdoors is your place that’s where you will go and you will get those restorative benefits,” Jan says. And though a Nature Kindy class might seem like one big playtime, the children are learning just as much as they would in a classroom. “There’s nothing that you can’t do outside that you can do inside, but there’s plenty that you can’t do inside that you can do outside,” she says. Numeracy, literacy and creativity come naturally in nature. More importantly, the children learn crucial life skills outside, including problem-solving, managing fear, risks and challenges and developing resilience. Children are also allowed to roam freely within generous boundaries to develop independence, discover their own limits and overcome adversity. And dealing with the elements provides great lessons in coping strategies. Of course safety is still paramount, Jan adds, but involves including the children in taking responsibility for it. There’s nothing like a good surf to get David Smale feeling restored and on top of the world. And the sport certainly ticks off three of the Ways to Wellbeing that the Mental Health Foundation promotes to maintain mental wellness: taking notice, connecting and being active. Exercising releases chemicals called endorphins, which are the brain’s “feel-good” chemicals. Endorphins are structurally similar to morphine, so also act as a natural painkiller. “I have moments of exuberance and complete joy when surfing. I can have an amazing session and the thrill and enjoyment is unbeatable,” David says. And that good feeling extends to after the surf has finished. 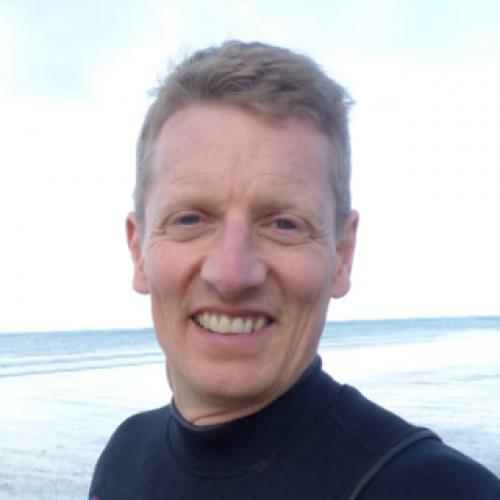 David, an English teacher at Westlake Boys’ High School in Auckland, has been surfing for 30 years. He started when he was 10 years old growing up in Taranaki, which is home to a number of world-class surf breaks. Surfing keeps him connected to nature, which makes him feel good. “Surfing has that natural connection that’s as authentically being back to nature as you can get,” he says. Surfing helps keep his mind in the moment. “I’m wholly focussed on the waves, paddling and getting into a rhythm and getting in sync with the ocean. It clears my mind. Like David, you can introduce any of the ways to wellbeing into your life, any time, and you will begin to feel the benefits. Whakatōkia ngā rautaki māmā nei ki tō ao kia rongo ai koe i ngā painga.